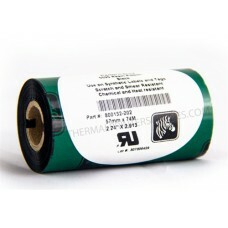 Zebra 5095 Performance Resin - 57MM X 74M Black Resin Ribbon. Compatible with TLP2824 Series Printers. Used with polyester labels.